Family tree crafters - now here's a project just for you. 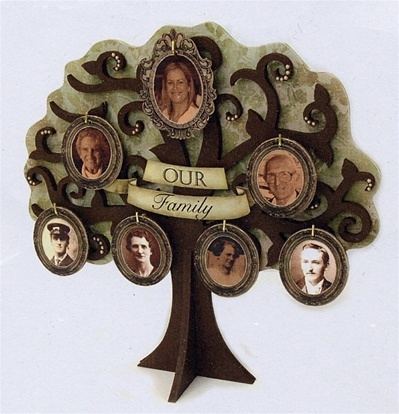 There's no reason to confine your genealogy projects just to paper, why not create a visual heirloom which you can pass on to your kids or grandkids. 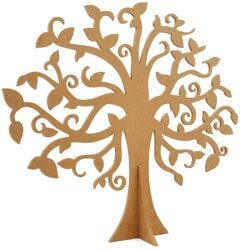 This chipboard tree, which measures 29cm high and 30cm wide, comes cut out and ready for your to paint and/or craft. See the alternate photo to see how the tree can look with made up. With hanging photo ovals for three generations (you, parents and grandparents), this will be creating something unique and special for your family. 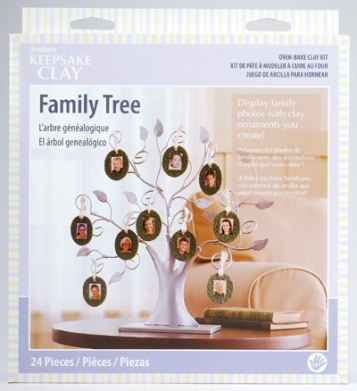 Display family photos with clay ornaments you create. Beyond The Page is a line of products made of quality press boards. Paint, ink, chalk, paper, and embellish your way to a unique piece of art. 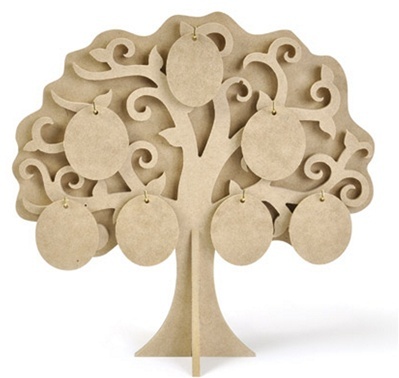 This chipboard tree, which measures 15.625"H X 17.75"W , comes cut out and ready for your to paint and/or craft. .
With hanging photo ovals for four generations (you, parents and grandparents, great-grandparents), this will be creating something unique and special for your family.